Virgin Australia will partner with Germany's airberlin from next month, with a limited number of codeshare flights but reciprocal frequent flyer perks across the board. Beginning August 1st and on sale from today, Virgin Australia will codeshare on airberlin’s daily direct services from Abu Dhabi – which is the home hub of Virgin partner Etihad – to Dusseldorf and Berlin. 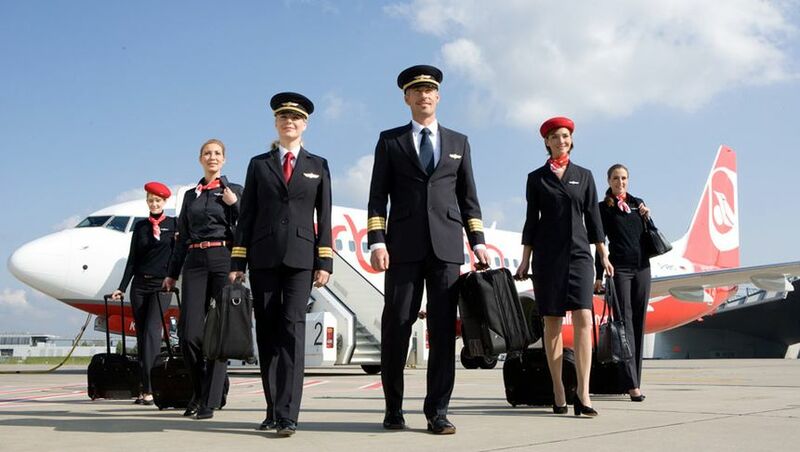 Members of Virgin Australia’s Velocity Frequent Flyer program will be able to earn and redeem points on all airberlin flights, not just codeshares. Just be mindful of your ticket class or 'fare bucket' if travelling in economy, as this could see your Velocity earning rate drop from 1 point per mile to a mere 0.25 points per mile. However, you'll earn Velocity status credits only on codeshare services marketed with a VA flight number. 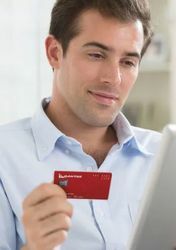 Virgin Australia says that waving your Velocity Platinum or Gold card will get you into the airberlin's lounge at Dusseldorf as well as the airline's "exclusive waiting areas" at Berlin-Tegel, Cologne, Dusseldorf, Hamburg and Munich airports (click here for specific locations). These are more like a handy 'express lounge' than a full-blown business class lounge, but it's still better than scrumming with the hoi polloi. The airberlin partnership grows Virgin's virtual network into Europe and is a fitting match for both airlines. Not only is airberlin to the Lufthansa juggernaut as Virgin Australia is to Qantas, but Etihad is a common stakeholder in both airlines. Etihad holds a 29% slice of airberlin and 10% in Virgin Australia, with approval from Australia's Foreign Investment Review Board to increase its VA stake to 19.9%. In addition, Etihad owns 70% of airberlin's topbonus loyalty scheme, which was spun off into a separate company in late 2012. Ironically, airberlin is also member of the oneworld alliance, which makes it a partner of Qantas. This is fantastic news, except for the fact the a return trip in economy from Brisbane to Berlin (flying Etihad / Air Berlin) later this year comes in just shy of 3k AUD. Brilliant news. Just returned from Berlin last month. Would do anything to avoid Heathrow and this looks like the option for when I head back end of year. So here's a question -- will there be a full reciprocal frequent flyer programme, or just for the codeshare flights with VA flight numbers? I'd be very keen to know whether this means I've finally got an option for earning Velocity points on short-haul European flights -- without airberlin, there's nothing. Chris: VA has confirmed that Velocity reciprocality for points and status perks such as lounge access extends to all airberlin flights, not just the AB/VA codeshares (we've updated the article accordingly). Further to that -- no status credits. Disappointing, but a good start. so does this mean If one has a QF frequent flier and a VA then can they earn points on both programs from Abu Dabhi to Berlin?! Not at the same time. But you get to choose where you want to put your points. Flown AB from HEL to TXL early this year on 737-800. Pretty good airline. Hoping their points distribution on VA is better than QF where I collected on my QFF at 0.25 per mile on Discount Economy. The article has been updated now and the points earn table is pretty much the same as for QF (not surprisingly). Downside to this AB-VA arrangement is that status credits are only earned if there's a VA flight number, with QF all point earning AB flights earn status credits. Oh well - status credit wouldn't matter to me since I'm not a frequent flyer. So, points would matter to me to redeem for available flights, Not even lifetime recognition on QF since they've changed the rules that it has to be QF marketed or subsidiaries flights to make up for it. Since available reward seats are much better on VA FF, I'd rather pool my points on VA FF. Nice, will be very handy next year...! Can someone shed some light on how codeshare routes are determined? Obviously they do some numbers research and see who has a vested interest etc, but what i find hard to grasp is for example Etihad has shares in both AB and VA, so has a vested interest in both, why is the codeshare between AB and VA seemingly so onesided? VA gets codeshare to two German cities, AB gets six new destinations within Australia and also on Phuket to Perth flights. Anyone know why VA wouldn't get codeshare on AB from Phuket to Abu Dhabi? Don't get me wrong, getting points on AB flights is great, but would be good to have a few more flights to get SC points on too! Could it be that those cities are covered under the Singapore Air/Etihad agreements. It seems like the Air Berlin addition is just that, to fill in gaps that exist. I expect further agreements for VA with regard to EU flights. Beware of the missing Economy fares in QF and VA. There are AB classes in VA that will not earn any points. QF website has the superset of all Economy classes that earn points. So essentially to fly busness class from say Adelaide to Berlin, you would fly VA then EY then AB. One would imaging that would be quite a different customer experience with each plane change on that routing with three different carriers?! Doesn't Etihad do flights direct from Adelaide to Abu Dhabi, so you would then only need to change carriers once, for AB onwards to Berlin? In fact doesn't Etihad fly its own metal to Berlin? Given that part of Qantas' strategy with EK was to fly into Berlin using its own aircraft and then tap into Oneworld partner Air Berlin to codeshare into Europe, this could become interesting. An AB flight with both VA and QF codeshares flight numbers. Who was Air Berlin's sponsor into OW? Comment on "Virgin Australia hooks up with airberlin"